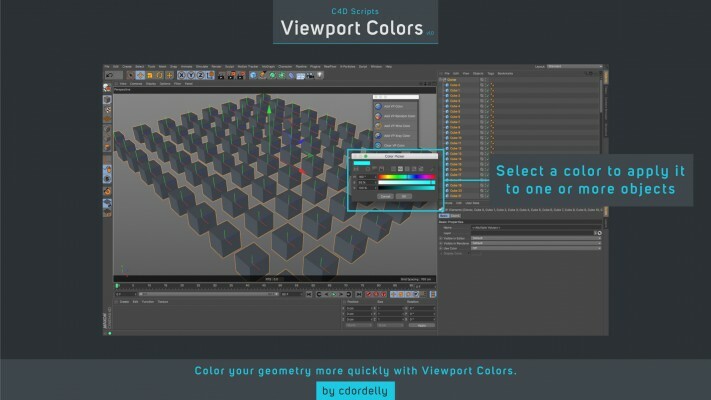 Viewport Colors is a scripts package for C4D to improve your viewport workflow. 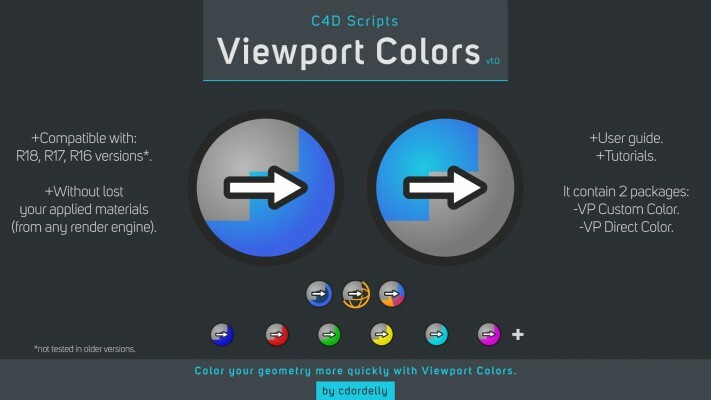 With these scripts you can quickly apply different type of colors to your objects in the viewport for reference purposes without losing your C4D materials or 3rd party render engine materials. 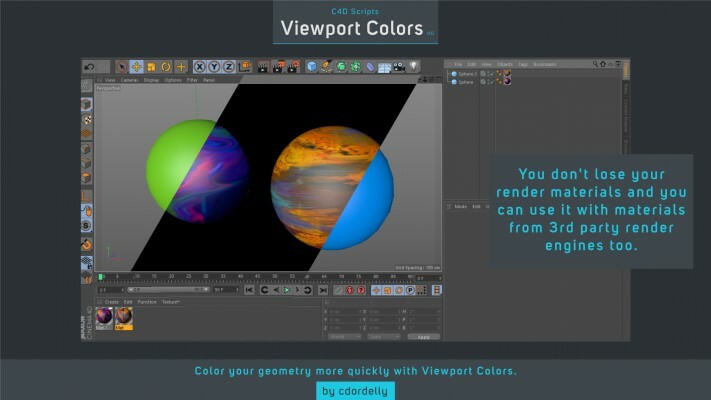 -You can use it to have a color reference of the scene and avoid wasting time in correctly viewing the materials in the viewport. -You can add a color to one or more selected objects (supports one or multiple objects as well as parent objects). 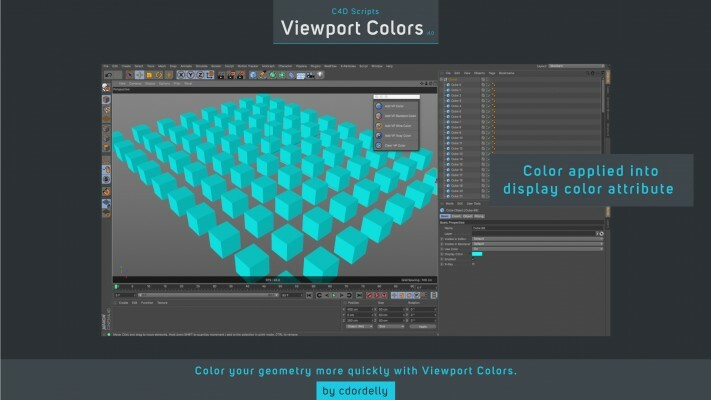 -You can add a solid color, Xray/Transparent color, wireframe color and random colors. -You can create 2 types of color variations from your key color: random variation and adjacent colors variation. -Don't worry! You do not lose your render materials and you can use it with materials from 3rd party render engines too just like Octane Render, Arnold Renderer, Redshift, etc. -User guide for both scripts packages. 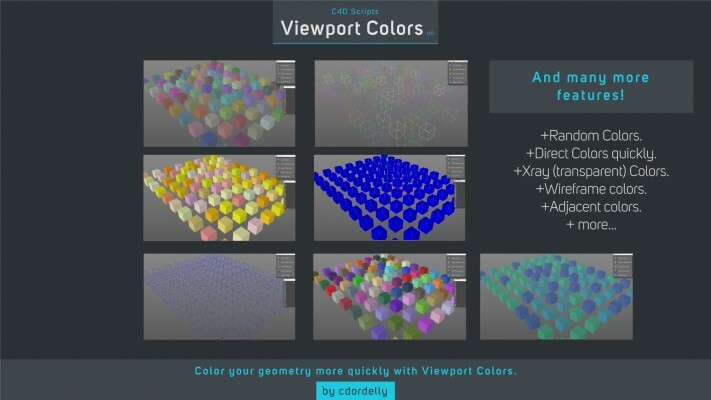 With VP Custom Color you can add a custom color that you prefer to one or more selected objects (support one object, multiple objects and type of objects with they childrens too). The VP Direct Color is for a more quickly and direct workflow, you can apply one color from a preset color library to one or more selected objects (support one object, multiple objects and type of objects with they childrens too). You can't have a children solid/transparent inside of a wireframe parent because c4d doesn't support different type of visualizations from children objects when the parent have a display tag. A generator for cinema 4D to create spider webs very easily and quickly.